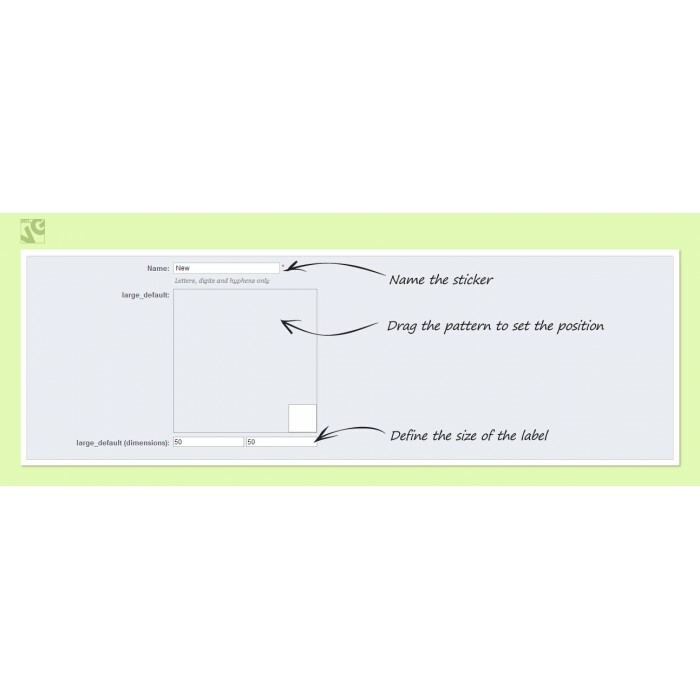 Add configurable stickers to any products. 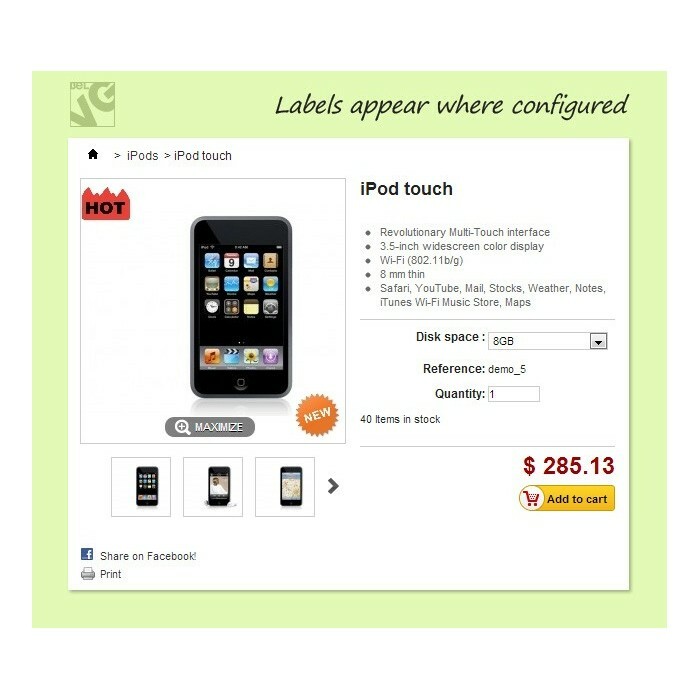 Special labels are displayed in the catalog, search, home page and product view! 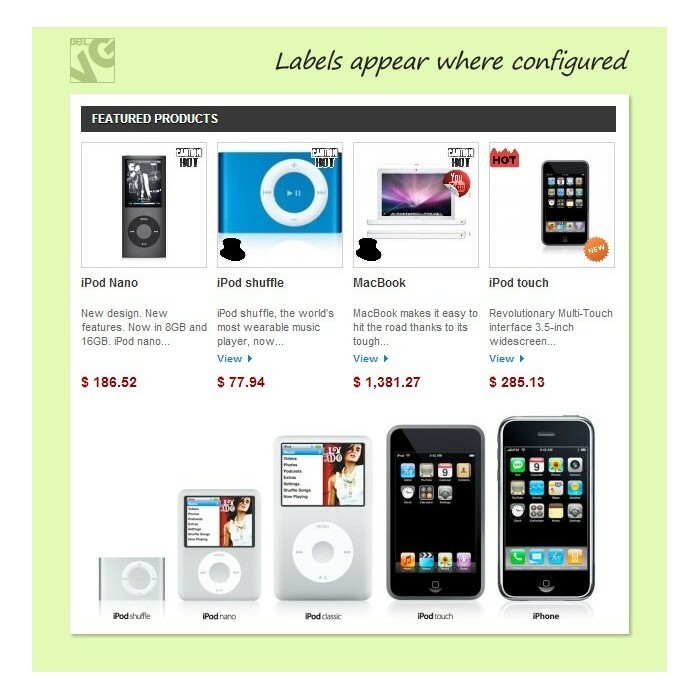 Upload a label, set its position on the picture and select the products to apply it to. Stickers & Labels PrestaShop module is a simple and comprehensive module that can be used in a variety of ways informing your customers about different product peculiarities and special offers.